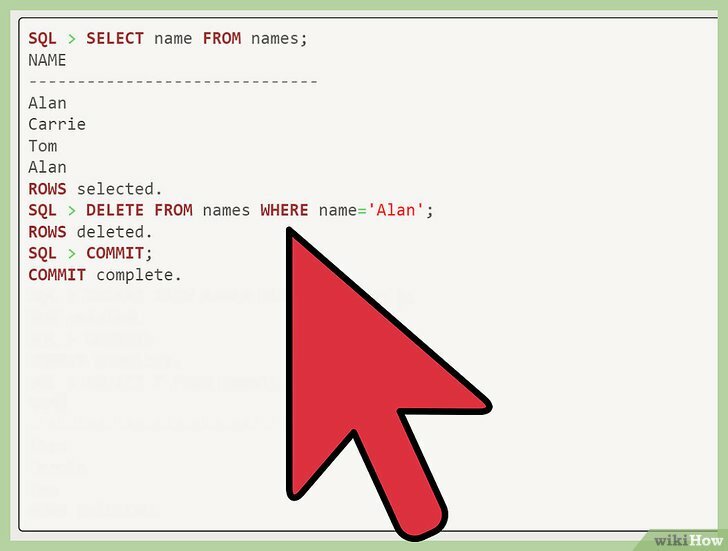 SQL > SELECT name FROM names;NAME------------------------------AlanCarrieTomAlanROWS selected.SQL > DELETE FROM names WHERE name='Alan';ROWS deleted.SQL > COMMIT;COMMIT complete.SQL > INSERT INTO names VALUES ('Alan');ROW created.SQL > COMMIT;COMMIT complete.SQL > SELECT * FROM names;NAME------------------------------AlanCarrieTomROWS selected. SQL > SELECT ROWID,name FROM names;ROWID    NAME------------------ ------------------------------AABJnsAAGAAAdfOAAA AlanAABJnsAAGAAAdfOAAB AlanAABJnsAAGAAAdfOAAC CarrieAABJnsAAGAAAdfOAAD TomAABJnsAAGAAAdfOAAF AlanROWS selected.SQL > DELETE FROM names aWHERE ROWID > (SELECT MIN(ROWID) FROM names bWHERE b.name=a.name);ROWS deleted.SQL > SELECT ROWID,name FROM names;ROWID    NAME------------------ ------------------------------AABJnsAAGAAAdfOAAA AlanAABJnsAAGAAAdfOAAC CarrieAABJnsAAGAAAdfOAAD TomROWS selected.SQL > COMMIT;COMMIT complete. 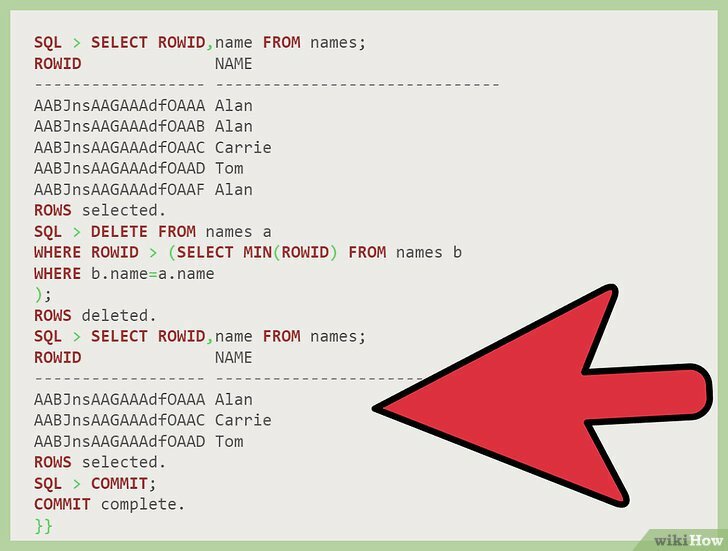 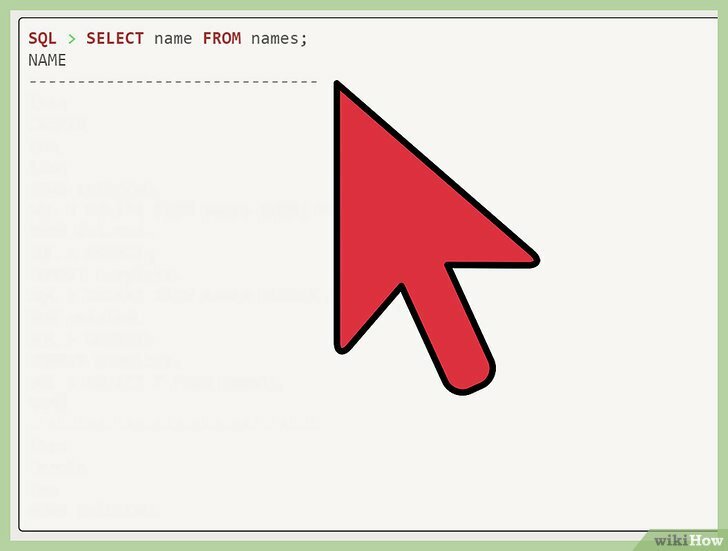 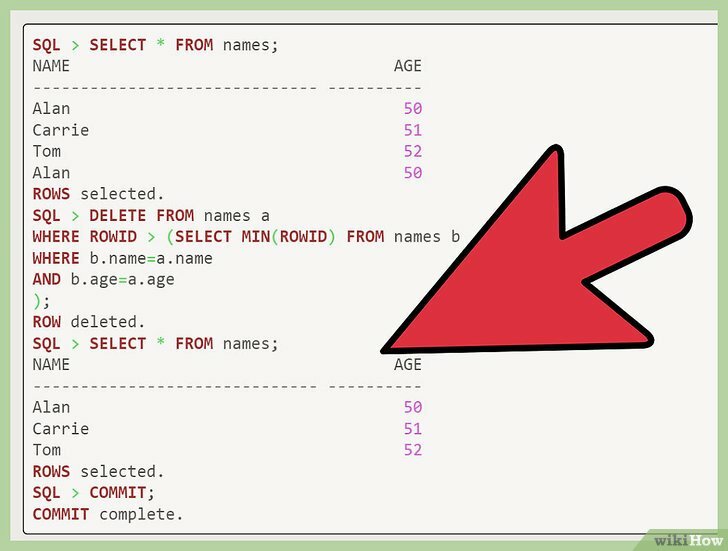 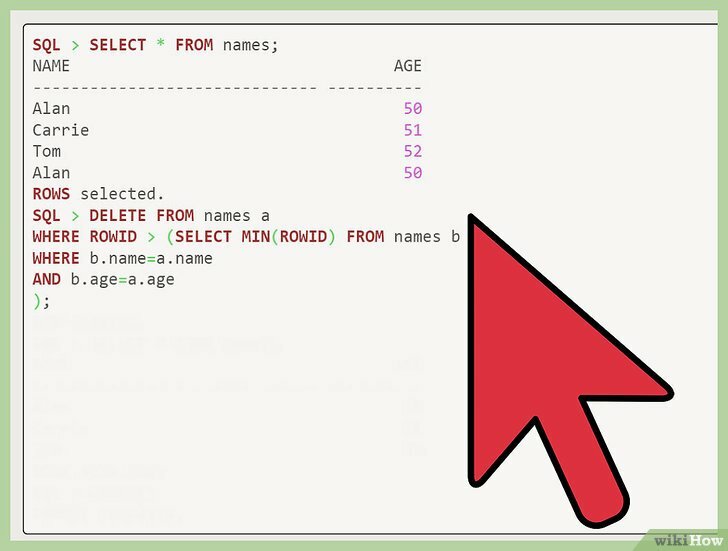 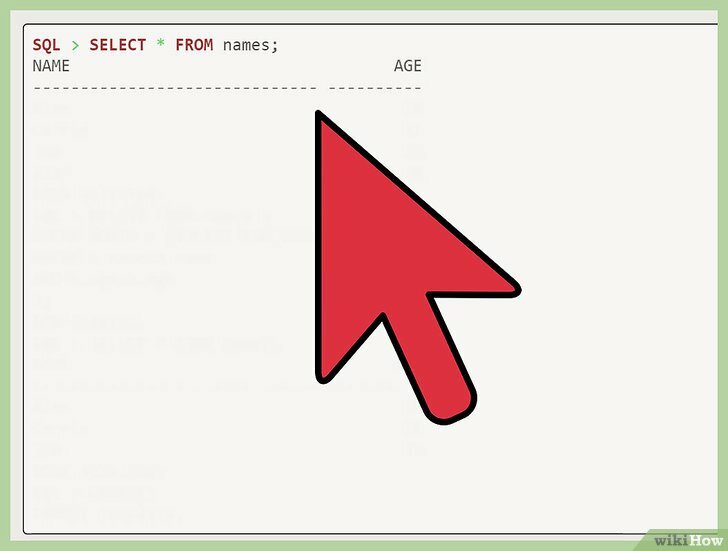 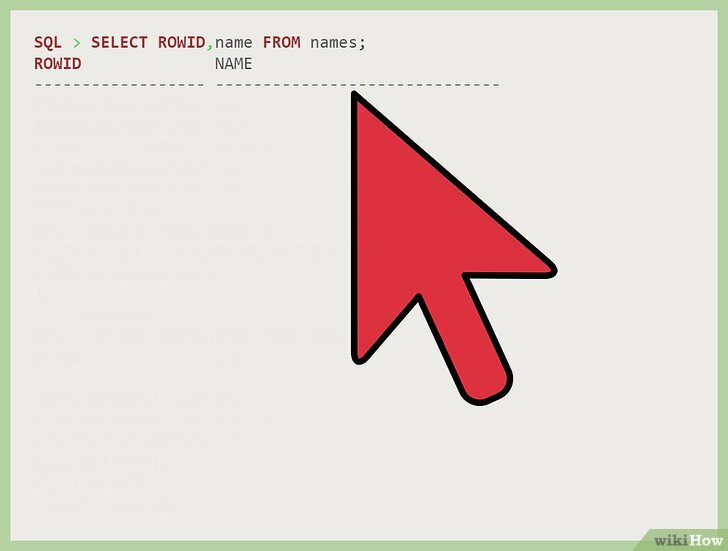 SQL > SELECT * FROM names;NAME         AGE------------------------------ ----------Alan         50Carrie         51Tom         52Alan         50ROWS selected.SQL > DELETE FROM names aWHERE ROWID > (SELECT MIN(ROWID) FROM names bWHERE b.name=a.nameAND b.age=a.age);ROW deleted.SQL > SELECT * FROM names;NAME         AGE------------------------------ ----------Alan         50Carrie         51Tom         52ROWS selected.SQL > COMMIT;COMMIT complete. 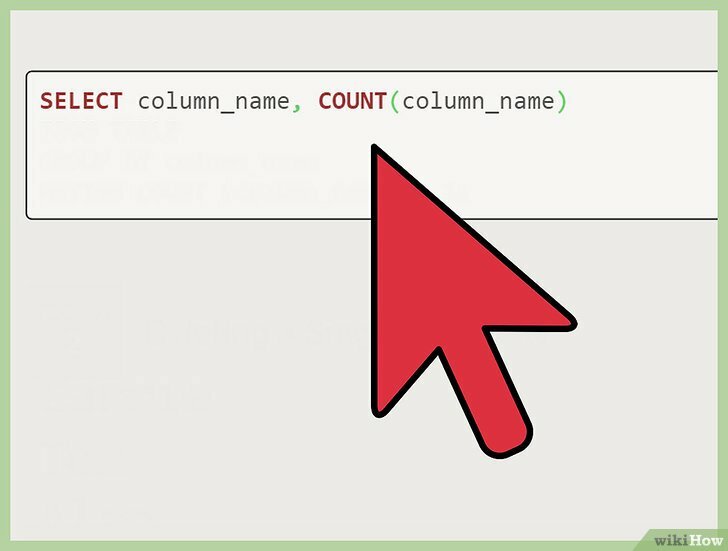 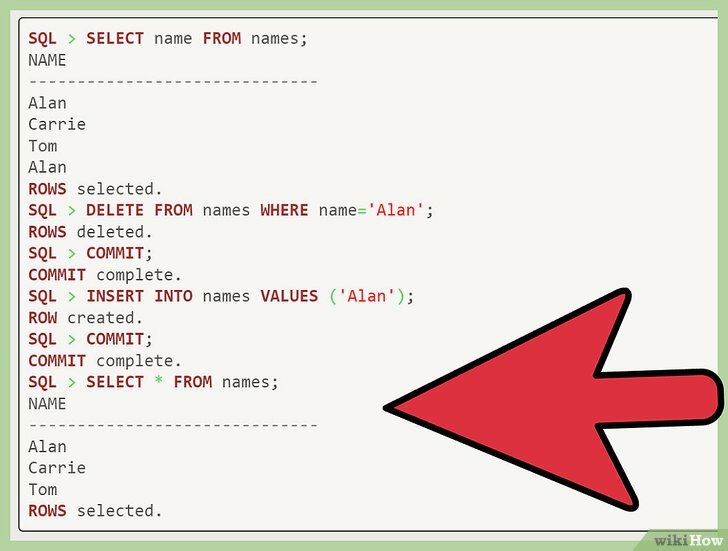 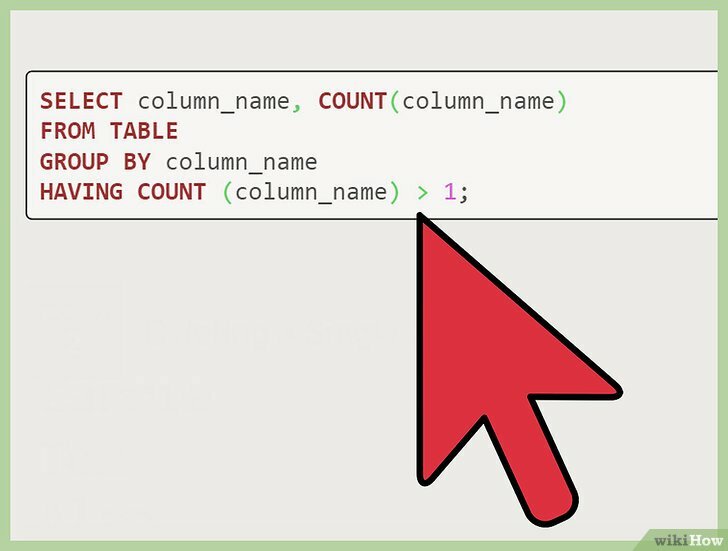 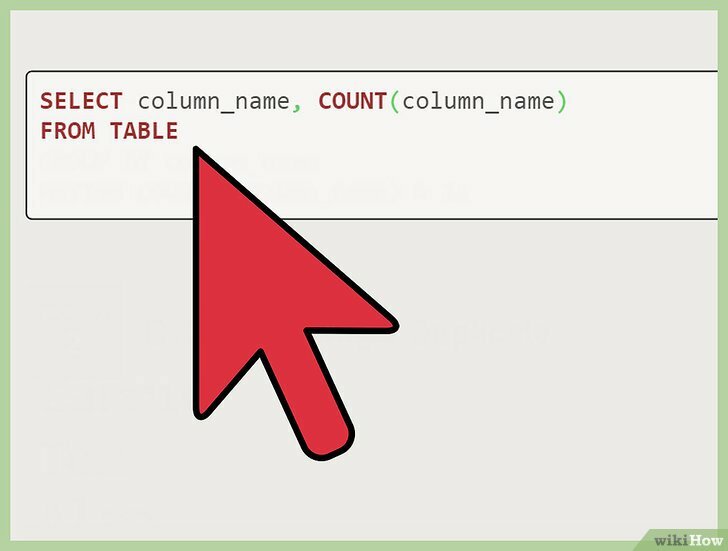 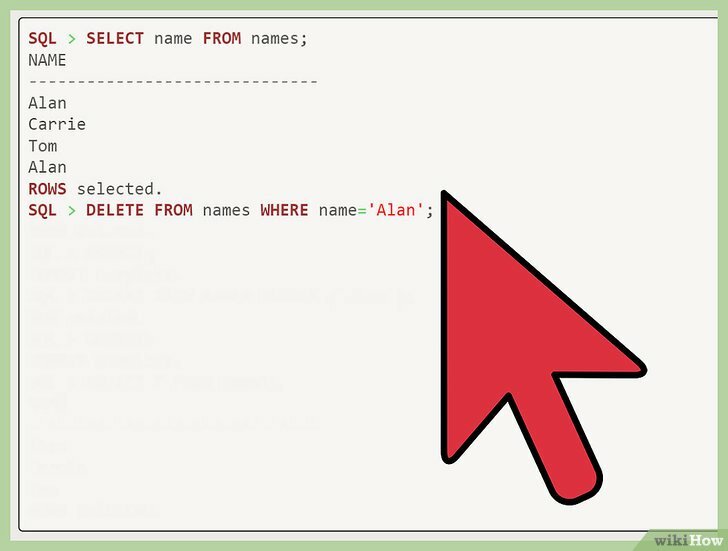 SQL > CREATE TABLE alan.names_backup AS SELECT * FROM names;TABLE created.